These Things were his Signs. Majorities that Could Not Die! To Ignore the Works He Promised for the Day. to build his House as a somnolent place. as dark as November defeat. “These Deeds we know your Houses have not worked. Consider what you said to us. was put to death, in every district. or see your works be scattered and undone. Lost in a Day: a House: The Speaker. Our Speaker. Lost in a Day: Senate: Upper House. Our Dear House. Lost in a Day: a House: Our Chairmen. Our Speaker. Lost in a Day: Senate: Upper House. Our Lost House. his countenance was modified, his clothing was aflame. they were at his side. The prophecy, the legislation spoke of whenever he would die. of what he should accomplish on the day. Then Peter spoke, to make of them a tabernacle place. A cloud appeared in glory as an accolade. They fell on the ground. the face of God, covered in a cloud. the voice of God: the most beloved son. Consider what he says to you, consider what’s to come. was put to death, and so will the Son. And keep your word, disguise the vision till the time has come. Lost in the cloud, a voice: Have no fear! We draw near! Lost in the cloud, a sign: Son of man! Turn your ear! Lost in the cloud, a voice: Lamb of God! We draw near! Because Gates realizes that on Saturday, November 11th, the University of Nebraska – Lincoln’s Huskers are going to destroy Texas A&M. Bob Gates is the woebegone President of that University — a school destined to suffer defeat at the hands of our incoming Big 12 North champion team. It’s clear what’s going on: Bob wants to put as much distance between himself and his school’s “football team” (more like soccer-playing collection-of-slackers). The Huskers are coming on. The President of A&M is gone. Behind the scenes, I imagine Bob Gates’ desperation as his date of destiny with Big Red approached. He probably desperately called everyone he knew, looking, begging, for a job as soon as possible. Once the election was over, President Bush finally had a chance to check his voice mail and hear the wailings of a man who cannot possibly overcome Nebraska’s west coast offense. So Bush decided to give him a job. Rumsfeld, a man of great kindness, sacrificed his own job to save Gates’ face. I wonder if he will be taking the entire A&M squad with him as Deputy Secretaries of Defense… or will his polic of “cut & run” leave this students to their fate? 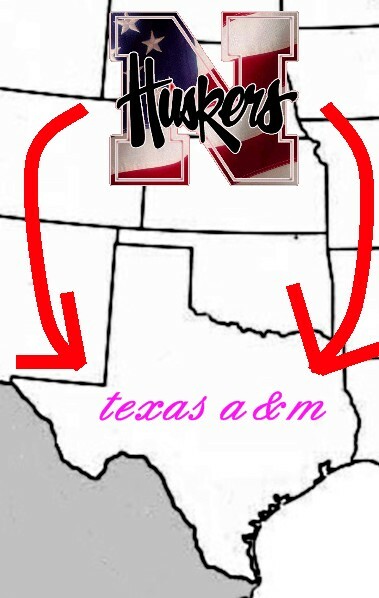 Update: Huskers 28, Texas A&M 27.